Same day, flexible, most waste types accepted. 4 sizes, free next day post, rapid removal. 2 bags, free next day delivery, 24h removal. Same day collection - book now! Our man and van rubbish clearances are our most popular service. We offer a same day clearance across the country and can remove most waste types. Book as much or as little as you need, only pay for what we take. We also include the labour and loading, so sit back and leave it to us. 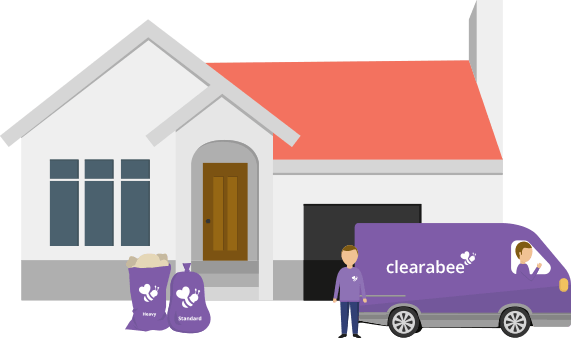 We don't subcontract any of our man and van clearances, so when you book us you get us. Next day arrival - book now! Our beebags branded skip bags are perfect for DIY & gardening projects or any rubbish clearance where you want containment and a fixed price. Our skip bags are able to hold almost all waste streams and you can place them a little further from the road than traditional operators. We can remove within 24 hours. Our skips come with free next working day delivery. Standard dispatch - book now! Bored of driving to the tip? Don't have a car? Find your wheelie bin always seems to be full? If so, our affordable, eco-friendly, on-demand bag and sack solutions for homes and businesses could be just what you're after. We collect the very next working day, whenever you need it, with a flat rate per bag. We recycle more than 90% of what we collect - we have it covered. The loyalty scheme for trade users and regular customers. 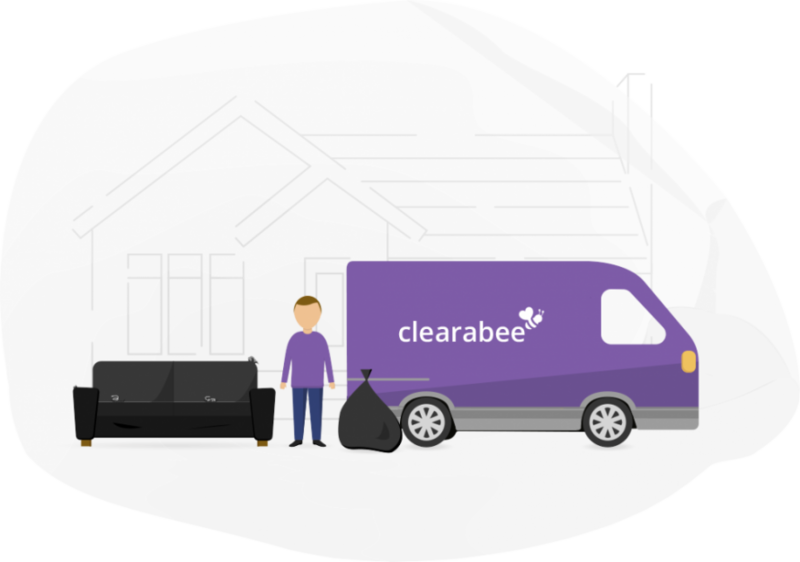 Clearabee is the UK's largest man and van style rubbish clearance company operating exclusively in-house, trusted by nationwide brands and thousands of individuals every month to remove their waste. We complete thousands of collections every month all across the country. We divert over 95% of the waste we remove from landfill (period Nov 18 to Jan 19) and offset all of the CO2 from our vehicles. We divert over 90% of your waste from landfill. Same day rubbish removal, nationwide. Mon-Sat customer service, plus evenings. 100% compliance - with us you're in safe hands. Get that rubbish out of here!